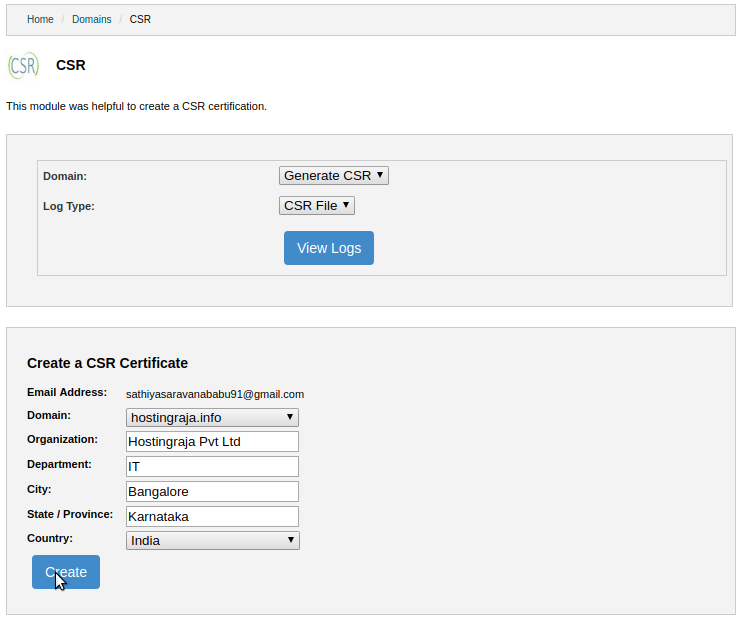 OVIPanel provides CSR Module using which you can generate proper CSR and private key quickly and easily.No need to use any third party sites to generate CSR. A Certificate Signing Request (CSR code) is a block of encoded text that contains the information about the organization that applies for an SSL certificate, and the domain that needs to be secured. 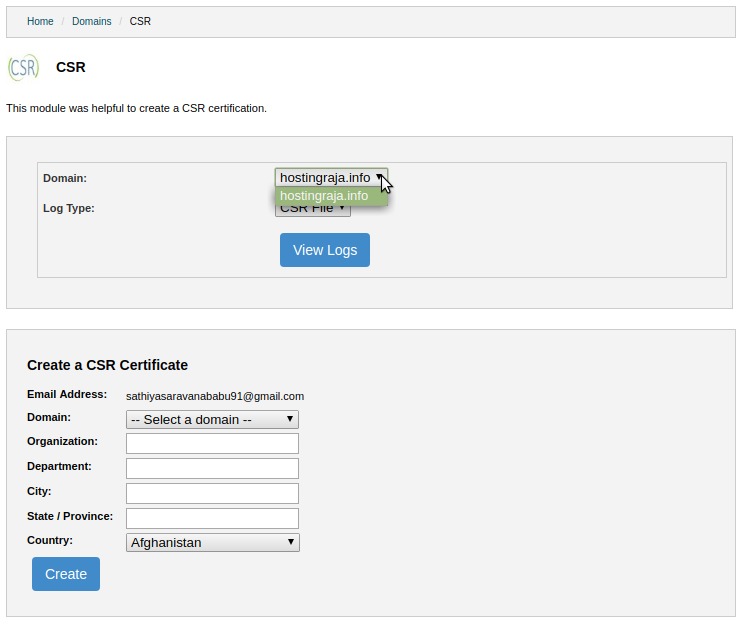 A CSR is nothing but what you give to the COMODO Certificate Authority, to generate your SSL certificate. It is an essential part of obtaining an SSL certificate.